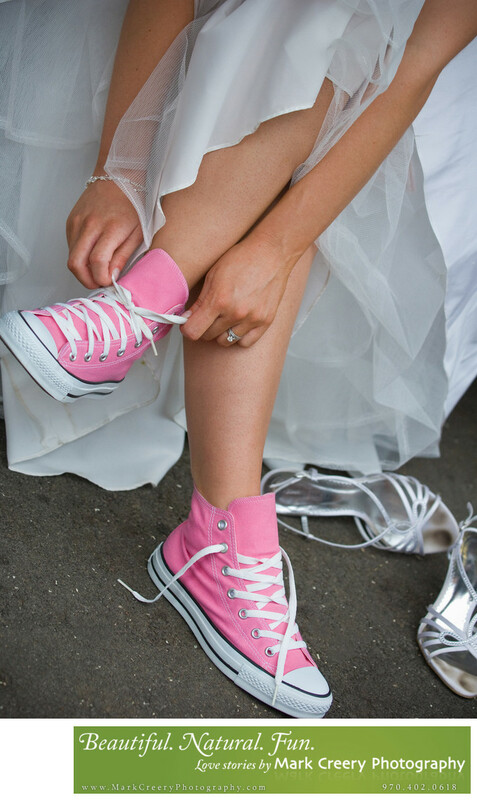 Photo of bride wearing her pink Converse sneakers to get comfortable at a wedding. It pays to have functional shoes when taking wedding photos if you are an active bride looking for great outdoor photos. Mark Creery Photography is an outdoor wedding photographer in Colorado. Contact him for more info on wedding packages.